All parliamentarians of the government today boycotted the parliament session which commenced a short while ago. The government has decided to boycott the session following a decision was taken at its parliamentary group meeting. Prior to the commencement of the session, the parliamentary group meetings of the two main political parties – the United People’s Freedom Alliance (UPFA) and the United National Front (UNF) – were held at the committee rooms in the Parliament Complex. The Public Gallery and the Speake’s Gallery (which is reserved for distinguished visitors) will remain closed today as well while only media personnel will be allowed to enter the gallery. Special police security has been placed in and around the parliament complex for today’s session. 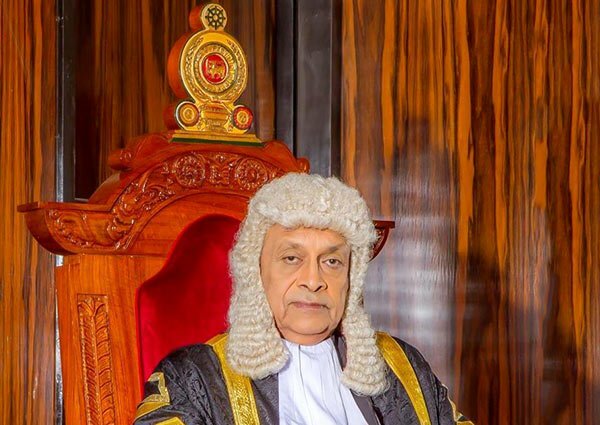 A leading UPFA Politician has claimed that the officers protecting the Hon Speaker, Karu Jayasuriya, in Parliament on 16 Nov were not legitimate Police Officers. Who were those people in Police Clothes? Were they CIA Agents? or were they Putin’s Agents? Extending the UPFA Politician’s view point, the person in Speaker’s Clothes on Nov 16 was most likely not Karu Jayasuriya. That person must have been a UNF nominee. The Polonnaruwa Pambaya’s illegal Government must be having a Minister for Internal Security. The events of Nov 16 in Parliament require investigation by a Presidential Commission headed by Justice Chitrasiri and evidence by Attorney General Assistant, Dappula Livera.